Where does luggage go after check in? What happens in the control tower? How do planes actually fly? This interactive, lift-the-flap book takes you behind-the-scenes to uncover the hidden secrets of the airport - from a peek inside the cockpit to the hustle and bustle of departures. In this follow-up to How Cities Work, we explore the earliest airports through to today’s giant transport hubs and what airports could look like in the future. 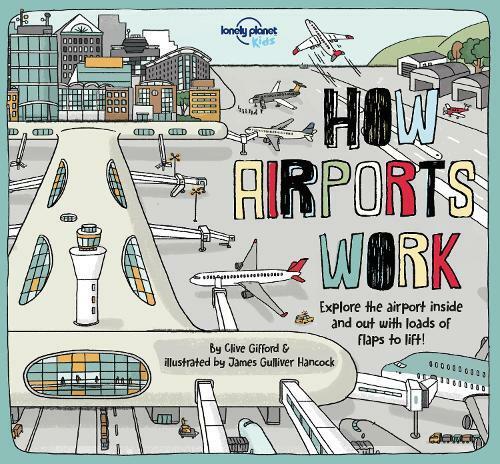 Packed with amazing facts and illustrations from James Gulliver Hancock, it’ll surprise and delight readers young and old, ensuring they never look at air travel in the same way again.